Laptops and mobile devices are on track to outnumber desktops, and enterprise networks are moving rapidly from wired to wireless as the primary way to connect. Industry observers agree that the majority of enterprise network traffic will be wireless by 2014. In fact, market analysts at Forrester predict that in 2016, one billion consumers will use smartphones and 350 million of those will be used for work. And over half of that figure will bring their own devices to work. Consequently, as businesses move forward, networking is all about mobility and providing secure access to corporate resources wherever your workforce happens to be. Mobile devices are Wi-Fi-capable and have no wired Ethernet port, making wireless the only way to connect. Whether or not they were intended for corporate use, millions are making their way onto enterprise networks and are rapidly becoming an integral part of how work gets done. Mobile users and devices are not the only agents of change in enterprise networks. The sheer volume and diversity of applications for mobile devices is changing the landscape as well. Cloud computing has unleashed an unprecedented wave of consumer and business-critical apps for mobile devices. And growing legions of users are accessing these apps to get work done wherever they happen to be. No longer tethered to a wired network from an office or cubicle, 90 percent of enterprise users now connect remotely and work away from the corporate office. These trends have created lofty user expectations and placed huge demands on business IT. Users expect secure, reliable, and consistent network services, regardless of their device, location or access method. At the same time, IT organizations responsible for the network infrastructure are under pressure to improve efficiency and reduce operating costs. By anticipating these dynamics and responding with innovative technologies that introduce greater business efficiencies, Aruba Networks has become the leading provider of next-generation access solutions for mobile enterprise networks. All this makes the Aruba MOVE architecture ideal for bring-your-own-device initiatives, which encourage employees to use personal mobile devices at work to improve productivity and efficiency. Aruba embraces BYOD by giving IT unprecedented control over mobile devices. This is achieved by adding device intelligence – called device fingerprinting – to the corporate Wi-Fi network. With Aruba MOVE, personal mobile devices can connect securely to the network in accordance with corporate policies. A key part of the Aruba MOVE architecture, Aruba Mobility Controllers create a single, unified network that manages wired and wireless access across indoor, outdoor and remote locations. Aware of all network devices, users, applications and locations, Mobility Controllers run the ArubaOS™ operating system and also maintain configurations and automate software updates for other Aruba Mobility Controllers, Mobility Access Switches and APs. 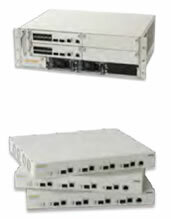 Compact and cost-effective, the all-in-one 600 series of Mobility Controllers are ideal for branch office networks. They support up to 512 users and perform stateful firewall policy enforcement at speeds up to 2 Gbps. Aruba S3500 Mobility Access Switches enable secure, role-based network access for wired users and devices, independent of their location or application. It’s the only wired network solution designed for today’s mobile enterprise workforce. The AP-134 and AP-135 deliver up to 900 Mbps performance. The AP-134 features two dual-band 3x3:3 MIMO radios with external antenna interfaces. The AP-135 has the same radios with integrated antenna elements. The AP-124 and AP-125 deliver up to 600 Mbps performance. The AP-124 features two dual-band 3x3:2 MIMO radios with external antenna interfaces. The AP-125 has the same radios with integrated foldable antenna elements. The AP-104 and AP-105 delivers up to 600 Mbps performance. Optimized for drop- and high-ceiling deployments with down-tilt antenna coverage, AP-105 features two dual-band 2x2 MIMO radios with two internal omni-directional antennas, while AP- 104 has the same radios with external antennas. The AP-93H mounts to an Ethernet wall plate and uses the existing cabling system to provide secure wired and Wi-Fi network access in dormitories, hotels and medical clinics. It offers 300 Mbps performance and features one dual-band 2x2 MIMO radio with internal antennas. The AP-92 and AP-93 deliver up to 300 Mbps performance. The AP-92 features a single dual-band 2x2 MIMO radio with external antennas while the AP-93 has the same radio with internal antennas. The AP-68 and AP-68P feature one 2.4-GHz radio and deliver up to 150 Mbps performance. The AP-68 features 100 milliwatts of transmit power and two internal antennas, while the AP-68P offers 500 milliwatts of transmit power and an external antenna. The outdoor AP-175 delivers up to 300 Mbps performance per radio and features two dual-band 2×2 MIMO radios with quad antenna interfaces. Fully hardened, the AP-175 can be deployed in a variety of harsh outdoor environments. The MSR2000 features two independent 802.11n MIMO radios for outdoor wireless mesh deployments using the 2.4-, 5- and 4.9-GHz band. Each radio can be configured for Wi-Fi access or mesh backhaul at speeds up to 300 Mbps. The MSR4000 features four independent 802.11n MIMO radios for outdoor wireless mesh deployments using the 2.4-, 5- and 4.9-GHz band. Each radio can be configured for Wi-Fi access or mesh backhaul at speeds up to 300 Mbps. The MST200 provides outdoor wireless mesh connectivity at remote locations for devices such as IP video surveillance cameras. With speeds up to 300 Mbps, it features a single 5-GHz 2×2 MIMO radio with dual spatial streams. The MSR1200 features two independent 2.4-GHz and 5-GHz radios for indoor wireless mesh network deployments. Each radio can be configured for Wi-Fi access or mesh backhaul at speeds up to 300 Mbps. Compact, affordable and easy to deploy, enterprise-class remote networks from Aruba are designed specifically for branch offices, home teleworker offices and distributed Wi-Fi locations such as retail stores and classrooms. Remote networking products include cost-effective 802.11n Remote Access Points (RAPs), branch office controllers, Aruba Instant™ and Virtual Intranet Access™ client software. For small branch offices and home teleworkers, the single-radio RAP- 2WG features wired and wireless access, zero-touch provisioning, identity-based access control, policy-based forwarding, air monitoring and wireless intrusion protection. For multi-user branch offices and home, teleworker power users, the single-radio RAP-5WN features wired and wireless access, zero-touch provisioning, identity-based access control, policy-based forwarding, air monitoring and wireless intrusion protection. VIA client software provides secure Wi-Fi connectivity for iOS, Mac OS X and Windows mobile devices and laptops. Unlike legacy VPNs, VIA chooses the best enterprise network connection and configures mobile device settings to ensure a simple, zero-touch wireless experience.